Help us reach 1 million meals! Since we launched in March 2017, we've helped provide more than 600k meals to hungry people in America. This summer, we want to provide another 600k, with the goal of reaching 1 million meals by the end of 2018. But even if you don't drink, there are plenty of ways to help!  For every drink poured, Simple Vodka donates 1 meal to someone in need. Follow us on social media to participate in our digital food drives. Find ways to volunteer at your local hunger relief organizations. Donate food, funds, or time to your local food bank.